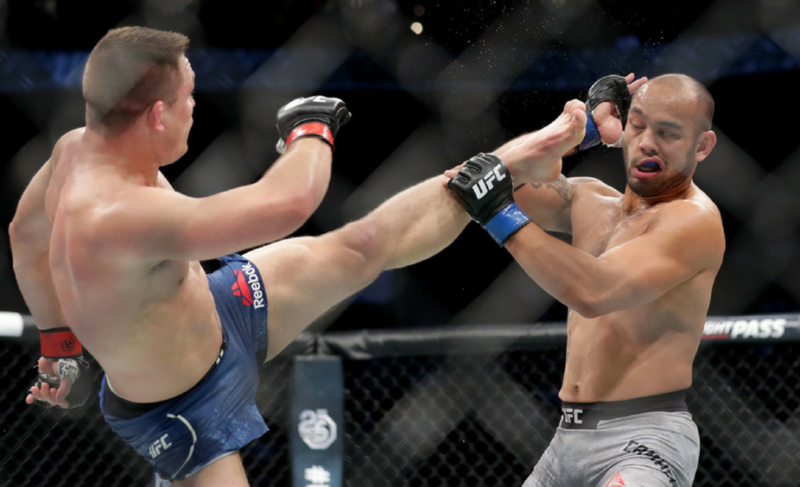 Mirsad Bektic returned to winning ways with a spectacular first-round finish of Godofredo Pepey at UFC on FOX 27. 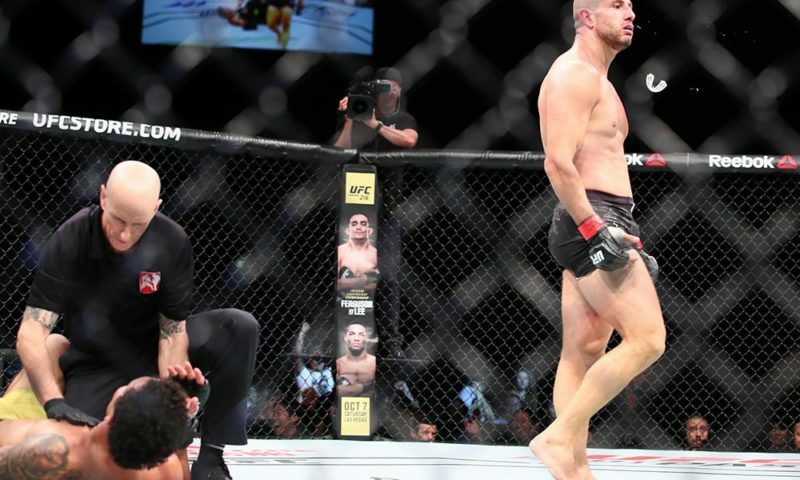 Bektic (12-1) brought the Charlotte crowd to life with a soul-crushing and fight-ending right hand to the solar plexus. The body shot curled Pepey (13-6) up before the fight was stopped by referee Kevin MacDonald at the 2:47 mark of the first round. 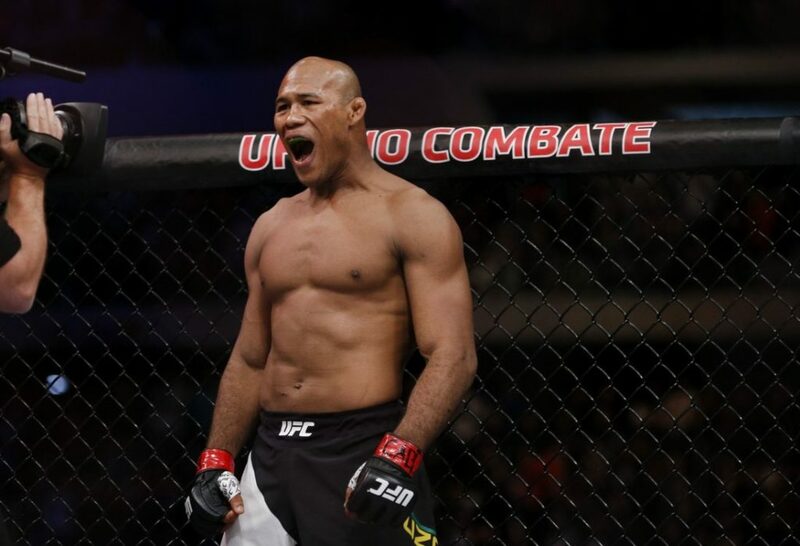 While Godofredo Pepey was comfortable standing at range and attempting his usual spinning kicks, Bektic instead patiently stalked his opponent before eventually backing him into the cage. It was here when Bektic did his best work. Without sufficient room to operate, the spinning attacks of Pepey were no longer a threat. Bektic, therefore, was able to close the distance and unload powerful punches without fear. The finishing blow was a result of Bektic’s effective forward movement. 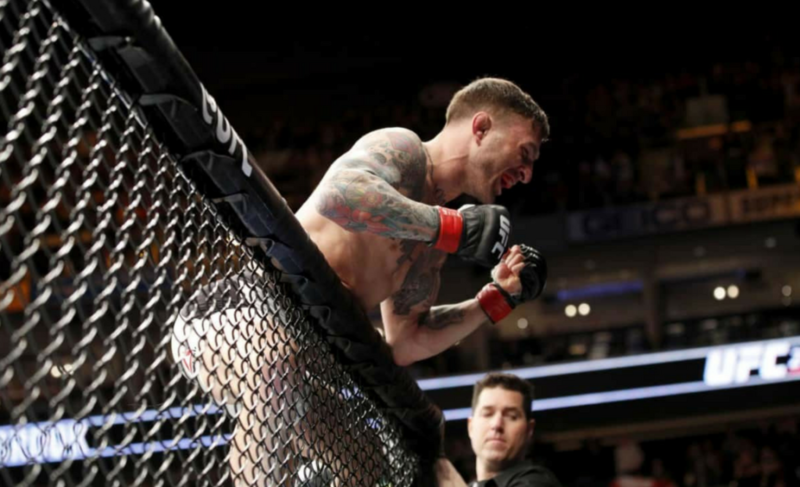 As Pepey was nearing the cage, Bektic stepped slightly inside boxing range and feinted with his left hand before launching a right hand. 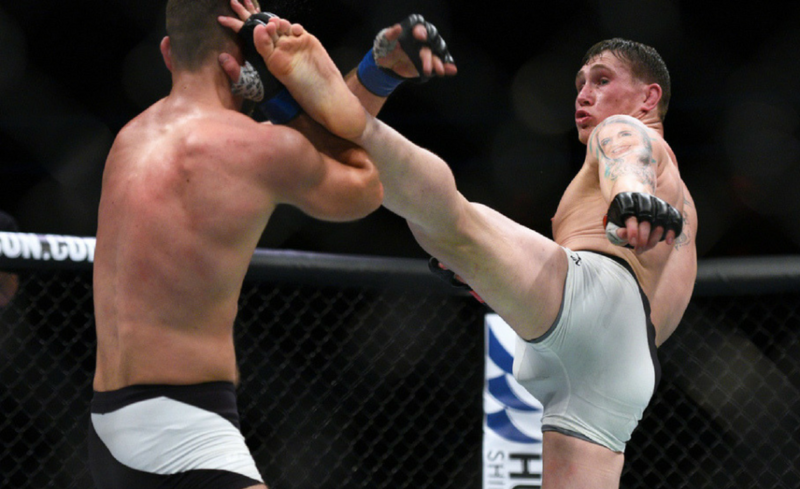 Pepey instinctually attempted to counter Bektic’s attempt to close the distance further with a powerful knee to the mid-section. 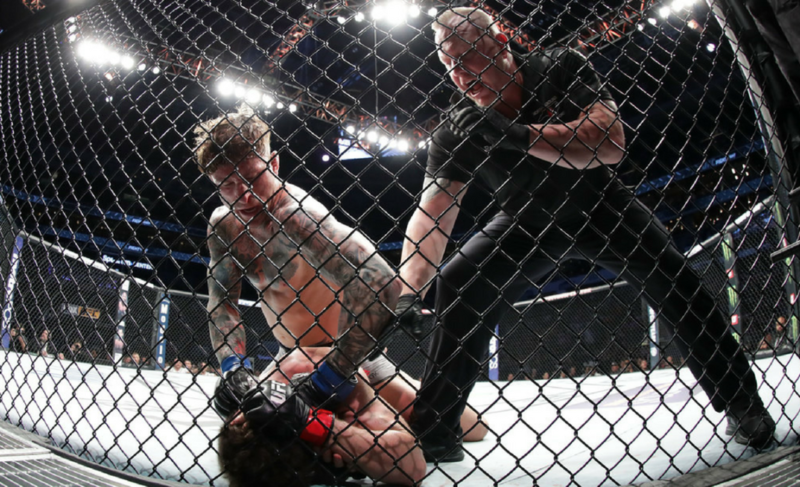 His strike was a little too slow, however, as it connected momentarily after Bektic had pounded his right hand into Pepey’s chest. 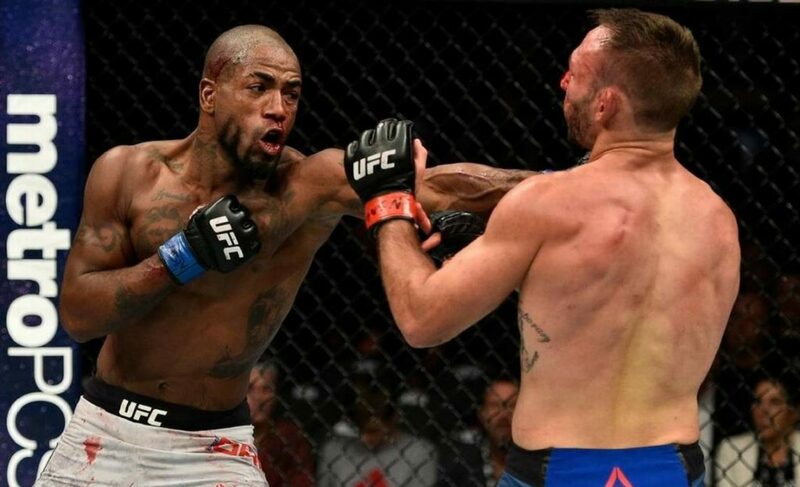 If the two were still near the center of the octagon, Pepey would have been outside of boxing range and not have attempted to counter with a short-range knee. 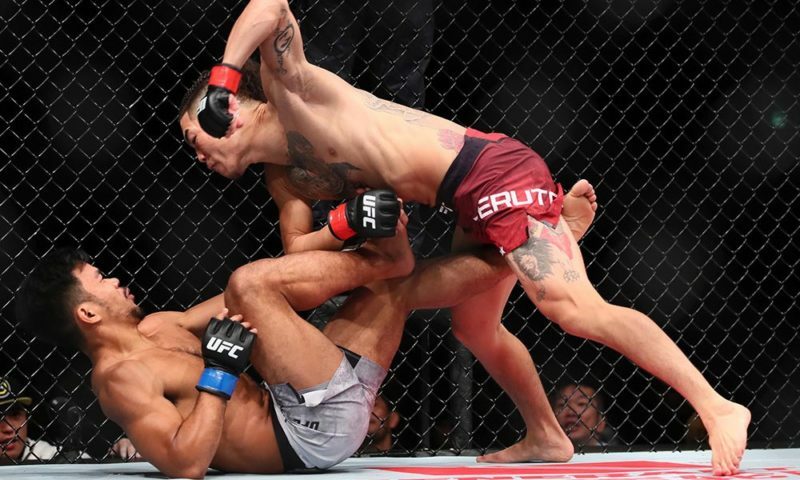 Bektic’s brilliant strategy to close the distance resulted in a spectacular finish and one of the more memorable moments of the night in Charlotte. 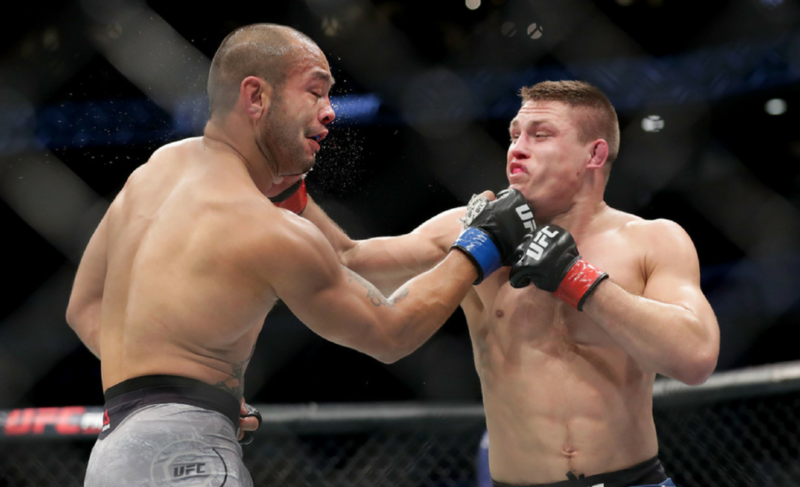 Bouncing back: The victory was Bektic’s first since he was stopped by Darren Elkins after a remarkable comeback at UFC 209 in March last year. 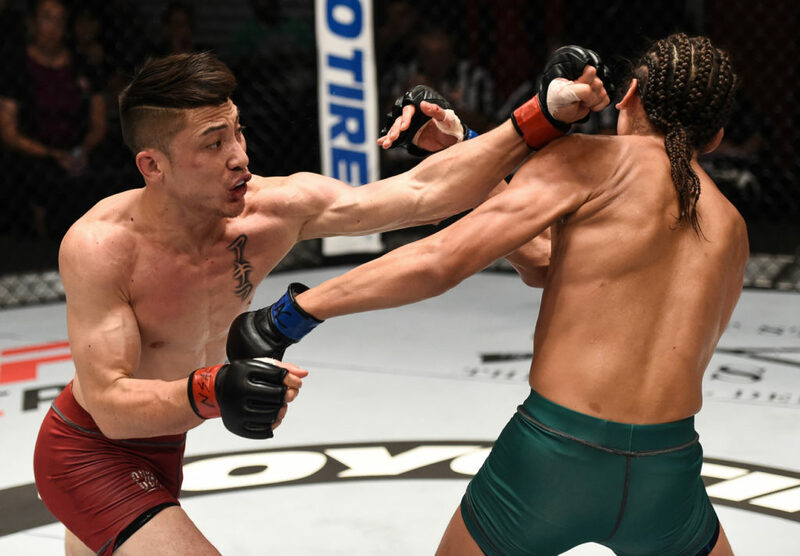 Now, the highly regarded prospect will surely earn himself a ranked opponent as he looks to continue his climb up the UFC’s featherweight rankings. 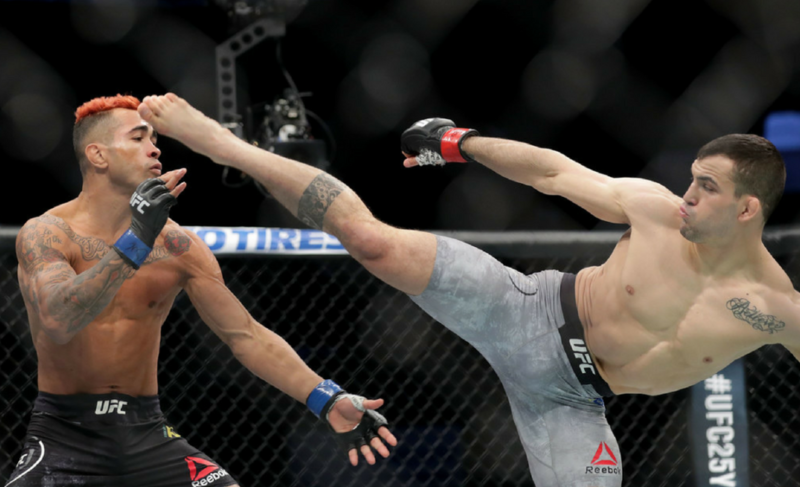 Body shots: Mirsad Bektic’s body shot came just one week after Aaron Pico’s devastating shot to the liver at Bellator 192. While both punches resulted in the same outcome, they were vastly different in their setup and execution. At the time of writing, Aaron Pico’s liver shot was considered favorably compared to Bektic’s sternum-crusher.